Drug Abuse Resistance Education (DARE) is a program that you might have had the unfortunate privilege of being a part of. 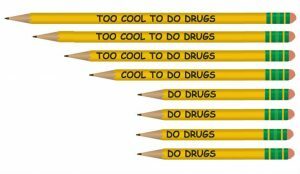 I’m sure many people remember in fifth or sixth grade when they pledged to stay drug- and alcohol-free and got a free T-shirt out of it. But how many people have actually kept that pledge? Unsurprisingly, not a lot. Sometimes it even backfires. Not only was DARE ineffective in keeping kids off of drugs, studies have found that those who went through the program were just as likely, if not more so, to drink or use drugs than those who did not participate. Turns out telling kids to “just say no” to drugs is not an effective way to keep them from partaking and actually makes them more curious about it. However, I don’t think that’s the only reason the drug education program is ineffective. The fact is, many people are going to drink or do drugs anyway, so you might as well honestly educate them on the topic. Kids will naturally be curious about drugs because it’s a new and seemingly scary thing to them. Telling kids to always refuse them without actually educating them on what they do is only going to make them more curious about it. I think instead of instilling more fear of drugs into children, the program should teach them about the different kinds of drugs and how each one affects you. That way, kids aren’t kept in the dark about something that they may take part in one day. Once they get older, they may want to experiment with recreational substances, so it’s important that they have the knowledge to do so safely and responsibly. There also needs to be more honest dialogue about what constitutes a drug. Think about it: Drinking, medications, medicine, and even caffeine and sugar are technically drugs. These aren’t always things that you smoke, inhale, or inject. They might be substances that you drink to wake up in the morning or help with your brain function, and even substances that you take to cure you from an illness. 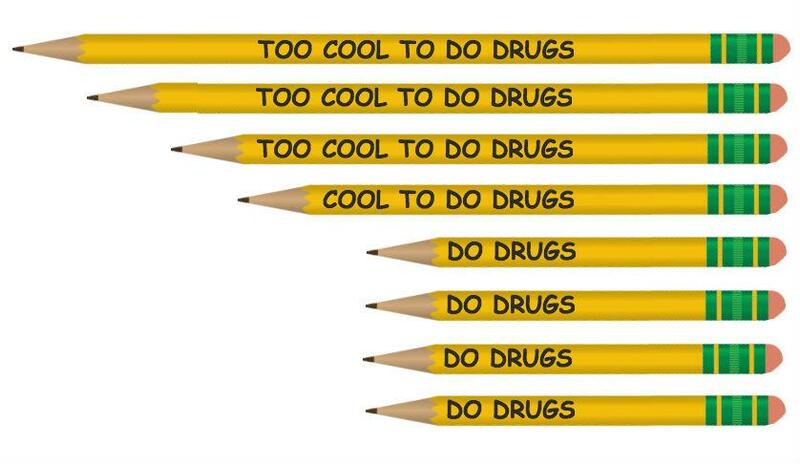 This separation of “good” and “bad” drugs can be confusing to kids who are trying to understand the concept. Teaching about all the different types of drugs can make them seem a lot less intimidating and will better, more accurately educate children. The only thing DARE was good for was making a bunch of kids scared to go to parties out of fear of being offered drugs. In future drug prevention programs, I hope people have enough foresight to realize that fearmongering and miseducation is not the way to enlighten our youth. Kids are smarter than that.